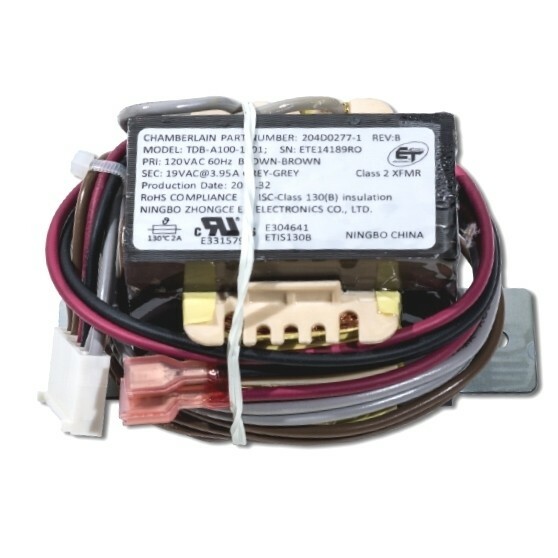 The Wi-Fi Battery Backup transformer is a replacement part that works with Chamberlain made garage door opener. Compatible with the matching part numbers above. This is a Transformer Replacement Kit. For use with various LiftMaster® and Chamberlain® Wi-Fi Battery backup garage door openers; manufactured after 2011. Check the manual or replacement parts diagram for specific part information before ordering to ensure compatibility.